Download these three templates. Print them off at A4 or A3. Colour them in. Cut them out. 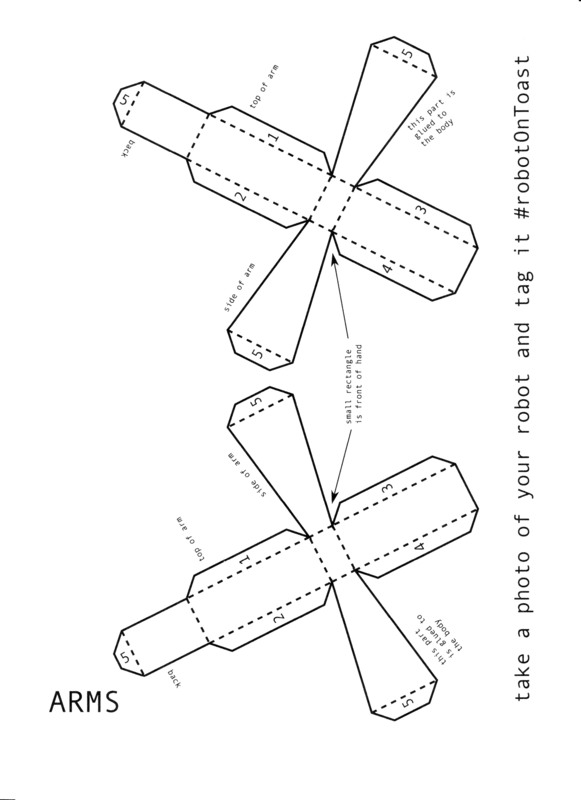 Fold along the lines, glue the tabs and stick the robot together! Eugenie, who designed Little Robot, works in computer graphics. She uses maths and physics to simulate things in films. Simulating means using a computer to make up what happened, instead of using costumes, props and a video camera. Eugenie has simulated things like magic, flying, aliens and spaceships – she has even worked on some of the Harry Potter films. If you’re simulating something in computer graphics, the basic principle is the same as this robot! 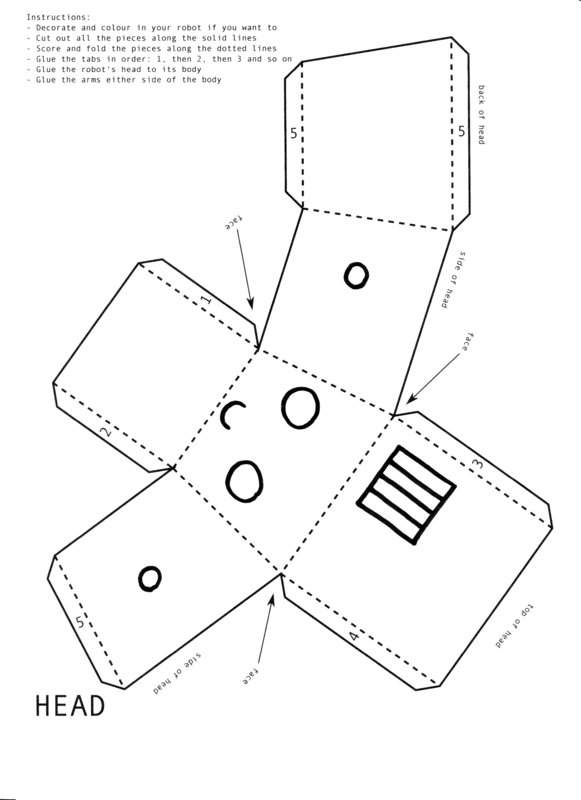 You make the shape out of polygons – straight-sided shapes. 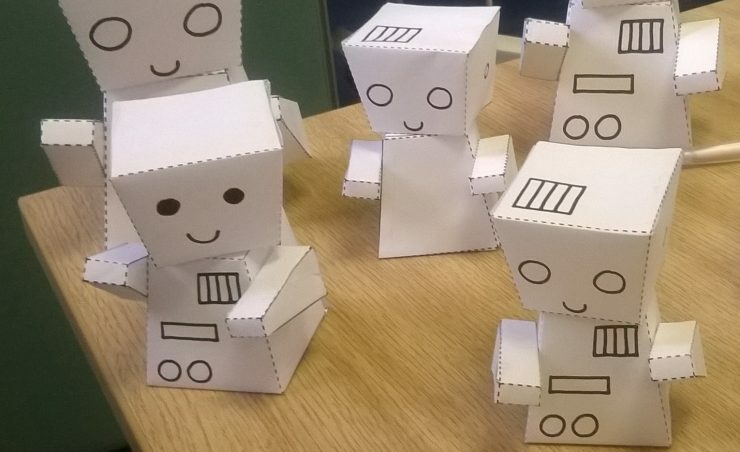 Little Robot is made from 24 cardboard polygons (can you count?) This poster shows something rather bigger from the world of computer graphics… made of 9,000,000,000 virtual polygons. 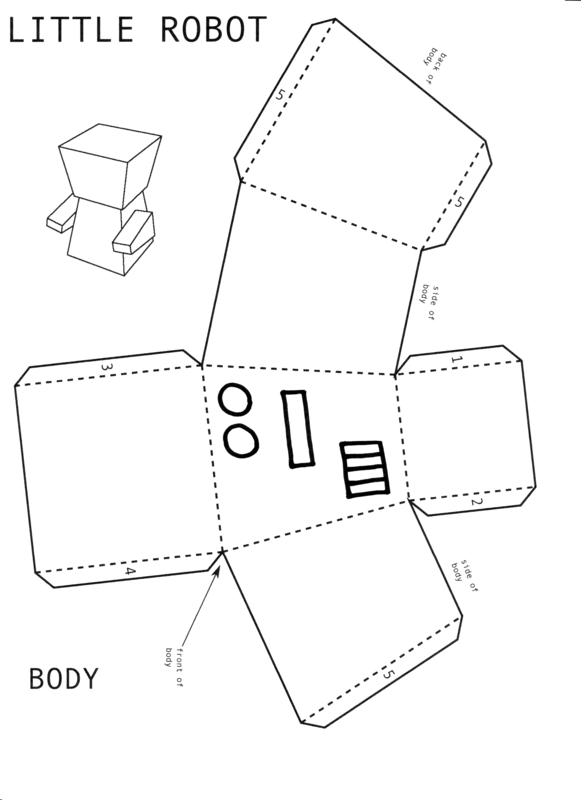 In making Little Robot you’re seeing how flat shapes come together to make 3D shapes – a maths skill. There’s also counting, logic, and figuring out. If you want to take it further you can make more parts for your robot… making it more and more complicated. Eugenie designed Little Robot as part of our activities with Bletchley Park Trust. Join us at Bletchley Park this autumn!